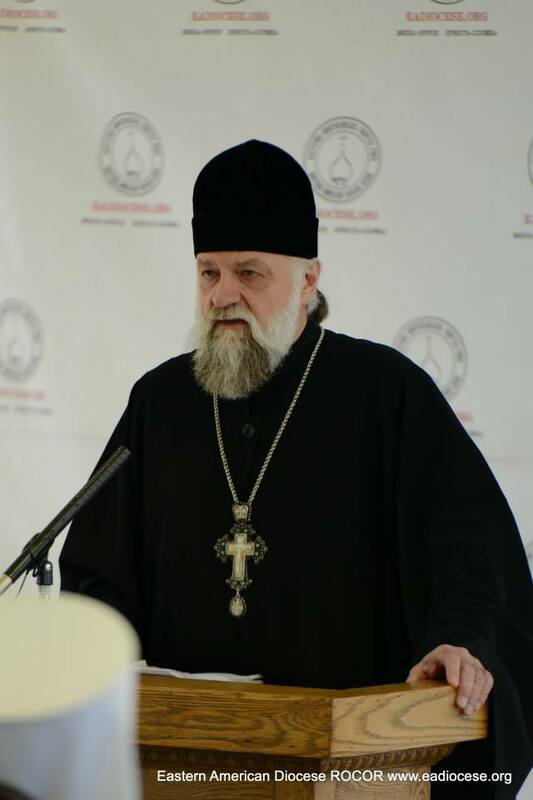 Eastern American Diocese of the Russian Orthodox Church Abroad - "Jose Muñoz-Cortes: The Chosen One of the Mother of God:"
Thirty-five years ago, Jose Muñoz-Cortes, an Orthodox Spaniard, was called by the Lord to a special ministry. This ministry began on Mt. 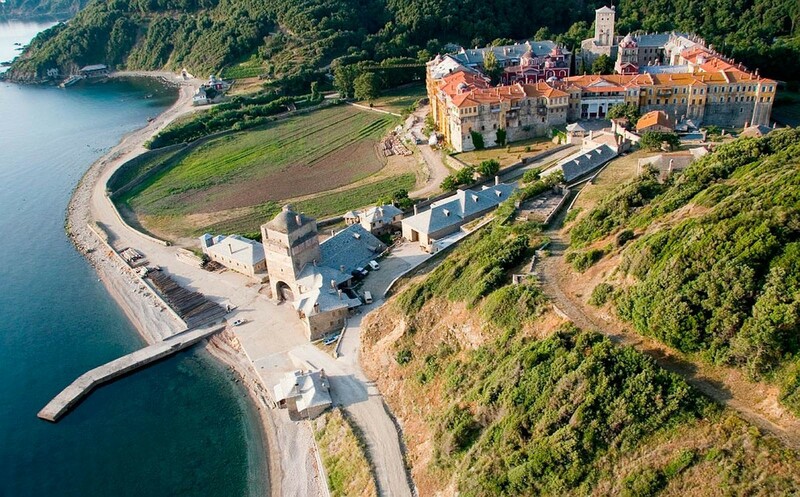 Athos, where Jose was given a copy of the famous "Panagia Portaitissa" Icon of the Mother of God for safekeeping, which on the night of November 24, 1982, started to miraculously exude myrrh. Jose sealed his 15 years of ministry to the Most Holy Virgin and the Church of Christ with his martyrdom, which took place 20 years ago – on the night of October 31, 1997. In 2002, the ROCOR Synod of Bishops made an appeal to the flock on the occasion of the 20th anniversary of the myrrh-streaming "Iveron-Montreal Icon of the Mother of God,” which, unfortunately, went almost unnoticed. "This icon, which abundantly streamed miracle-working myrrh for fifteen years, consoled our Russian Orthodox Church Outside of Russia as a visible and tangible symbol of the mercy of the intercession of the Mother of God for us sinners…" the Synodal message reads. "Did we put this visitation of the Mother of our Lord to good use for our souls, and is it not our collective sin of having grown cold toward this holy icon and in our prayers, cold to the works of charity and witness to the Orthodox Faith, which was the reason for its disappearance, by God’s will? "Brothers and sisters! 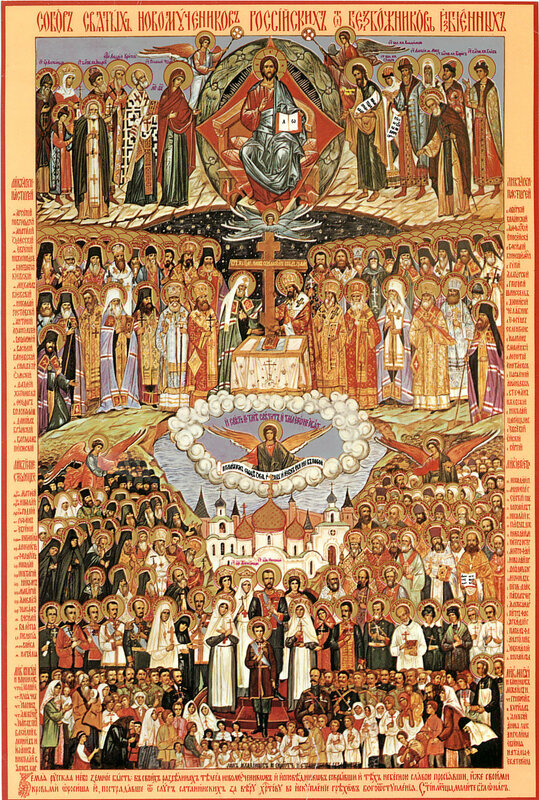 With tremulous gratitude we prayerfully recall the arrival of this wondrous myrrh-streaming icon in our Church, and with repentance we pray to the Most Holy Mother of God for the forgiveness of our transgressions, and for peace to reign in our Orthodox Church…"
This call of the ROCOR hierarchs is still relevant today. Marking the 35th anniversary of the appearance of the wonderworking Iveron Icon of Montreal, we have an opportunity to contemplate the meaning of this great miracle of God and catch a glimpse of the life of the man who in our pragmatic, computerized, and rationalist age gave his life for an Orthodox [icon]. Jose Muñoz-Cortes was born on May 13, 1948, into a Catholic family in Chile. As a boy of fourteen, on his way to the Roman Catholic cathedral of Santiago Jose, he by chance went into a Russian Orthodox church, attracted by the unusual sound of singing. 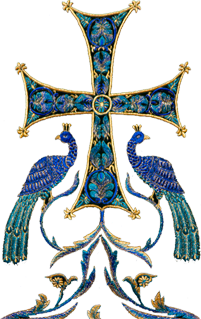 That day, September 27, was the feast of the Exaltation of the Holy and Life-Giving Cross. Struck by the beauty of the church, its icons and services, the adolescent began to attend this church thenceforth. Two years later, Archbishop Leonty (Filippovich; +1971) of Chile gave him his blessing to become Orthodox. This was in 1964. In the ensuing three years, Jose studied iconography and theology. Having moved to Canada, Jose attended courses at an art school and afterwards taught the history of iconography at Montreal University. The young man wanted to take up monasticism, but there was no Orthodox monastery in Canada at that time. In 1982, during his trip to Mt. Athos, Jose visited the Skete of the Nativity of Christ. At its icon painting workshop, he felt a strong attraction to an icon of Holy Theotokos. He persistently asked whether he could buy this icon, but was told that it was not on sale. The young pilgrim nevertheless ardently prayed to the Virgin Mary, imploring her to allow him to take this icon back to Canada. As Jose was leaving the skete, its abbot suddenly came up to him and handed the same icon over to him, saying, "The Most Pure Virgin must leave together with you." On his way to the Athonite port of Daphne, Jose heard an inner voice, telling him to go to the Iveron Monastery and touch his new icon to the wonderworking Portaitissa Icon, which has protected Mt. Athos for centuries. The icon given him by the abbot was a copy this one. Jose fulfilled this command. On his return to Montreal, the young ascetic kept the Portaitissa Icon in his room and read an akathist in front of it every night. On November 24, 1982, Jose woke up at about three in the morning and smelled a strong fragrance. Looking at the icon of the Mother of God, he spotted drops of a liquid and thought that it was oil trickling down the icon lamp. But as he was wiping these drops, to his great amazement he noticed that they were the source of the fragrance. And it became clear to him that it was holy myrrh. Thereafter, the icon streamed myrrh all the time, with the exception of Holy Week. Many wonderful miracles were performed by God through this myrrh-streaming icon, though Jose himself used to say that the greatest miracle was [that it moved the people to] repentance. "In 1984, in my Moscow flat I was trying to adjust my radio set to receive a broadcast of the religious program, produced and directed by Priest Victor Potapov on ‘Voice of America.’ It was a hard job because the Soviet authorities tried their best to jam radio broadcasts in order to deprive us of any source of religious information. And on that evening, I heard something remarkable that filled my heart. Fr. Victor was speaking about one Chilean who had been given an Iveron icon of the Mother of God at a monastery on Mt. Athos and that it had begun exuding myrrh. Due to the poor sound quality, I couldn’t hear the details well, but there were two things that amazed me in particular and gladdened my heart. Firstly, it was the miracle itself; secondly, the fact that there was another Latin American in the world who, like me, had converted to Orthodoxy, but, unlike me, had done it so sincerely and wholeheartedly that he had become worthy of the title ‘the chosen one of the Most Pure Mother of God.’ Thus I already had a new friend, though then I didn’t know the role he was to play in my life." I will return to Jorge Fernandes’ story later. In a Russia finally freed from the Communist yoke, Orthodox believers especially venerate the Iveron Icon. My deep belief is that the special love of the much-suffering Orthodox nations for the Iveron icon is partly explained by the fact that this icon is much-suffering, too. Over 1,000 years ago, an insolent soldier struck the image of the Mother of God with a spear, and blood flowed from the spot where it was struck. It was the first visible miracle associated with the icon. The second miracle was a spiritual one: astounded by the miracle, the soldier repented from the bottom of his heart, renounced the heresy of iconoclasm and became a monk. On November 24, 1982, the first miracle of the copy of the Iveron Icon from Mt. Athos, kept by Brother Jose, was worked: it was the streaming of myrrh. The second miracle was the mass repentance of people. "One day I entered his workshop at Lesna Convent in France and smelled some unknown scent that was different from the fragrance of myrrh. I told Jose about it and in reply he pointed to an icon of St. Elizabeth Feodorovna with a tiny portion of her relics. He added, ‘The Holy Grand Duchess was here right before your arrival… She comes to me from time to time. Look here, I have her relics. Sometimes they produce a pleasant fragrance after the Grand Duchess’ visits.’"
Jose rarely talked about his inner life, but all who ever communicated with him sensed the outstanding purity of this man. We can say without a shadow of a doubt that he was a true earthly lily of the Queen of Heaven. Every day, he would read the Akathist to the Mother of God and a saint of the day before the wonderworking icon (usually in French). At church services, he behaved modestly and never attracted attention: he would quietly stand behind everybody, without being noticed, like a true monk. Young people from America met Brother Jose on Mount Sinai. He introduced himself, saying that he was from Canada (Quebec). The young people told him that they knew about the myrrh-streaming Iveron Icon in Montreal. Brother Jose answered that he knew about this icon as well, but he did not reveal that he was the guardian of the same icon. Significantly, Jose combined openness (in communication) with his standing firm in faith. He would distance himself from intriguers, lukewarm Christians, and self-seeking people. The ascetic suffered in his heart, observing a lack of love among believers, envy, and slander. "Oh Lord, all of this makes me so sad," he once wrote in his diary. The miracle of which he was destined to be the first witness made his prayer, already strong, even stronger. Jose had 58 godchildren and he prayed for all of them every day. And not only for them: his list of names of living and dead persons to be prayed for was like a monastery’s commemoration book. He prayed to the Mother of God for young Orthodox people each day, asking, "may all of them become holy men and holy women." "The icon always eclipsed Brother Jose (which was understandable). He seemed to us very simple, very humble, very close (any of us could call him a friend), an ordinary man like any of us with the sole exception that a miracle came to him… Now that the icon is long gone, his image is becoming clearer. It was he who prayed and read the akathist in front of the icon every day over three weeks, it was thanks to his prayers that the icon began streaming myrrh; his love became ‘complete’ and ‘flowed over the edge of the vessel’ – and the Mother of God acted in a reciprocal way by performing a miracle. It was he who wandered around the world with the relic despite everything – his own ailments, hardships throughout journeys, lack of resources, the opposition of some individuals (up to the final days, and he told me about it many times). Just the same, he had time to observe his extremely long prayer rule (saying the Jesus Prayer up to 1,000 times per day, in addition to all other prayers) and to paint icons… He couldn’t have any personal life. People came to him, called, wrote, asked for his help, intercession, and prayers. And he prayed for everybody." Jose never had large amounts of money. When he received the icon, he immediately vowed that he would never use it for personal gain. And Jose kept this promise till his death. I know for a fact that at times he did not have enough money to pay for his medicines and even basic necessities. On many occasions, he gave his last money to the needy. A note in French was found in Jose’s diary that he made in 1985; it reveals how difficult it was for him to be the guardian of the myrrh-streaming icon of the Mother of God and that he foresaw the day of his martyrdom long before his death. This note reads: "Lord Jesus Christ, Who for our salvation came down from the heavens and was incarnate, Who voluntarily suffered torture and Crucifixion for our sins, give me the strength to endure my suffering, inflicted on me not by enemies, but by my brothers. O Lord, do not impute sin to them!" "He woke up at night and found himself bound hand and foot. He also was ‘gagged’ so he could neither speak nor cry. He tried to free himself from it but that was beyond his strength, so Jose only prayed in his mind. He knew that these were dark forces of evil, and they held him in this way all night long. This story was told by Jose himself in Spanish to my wife a year ago, and she translated it to me; and now she has retold this incident again so that I might write it down." According to Jose, it was not a dream at all: all of this happened in reality exactly a year before his martyrdom. "Believers ought to be ready to die for the truth, and not to forget that in acquiring enemies here, we acquire the Heavenly Kingdom… He who is faithful in little things will be faithful in great things, when it is required. Given an opportunity to become confessors, we ought not to lose it. Having lost the earthly life, we find the heavenly. We ought not to fear death for Christ." The room in the Athens hotel where Jose was tortured to death was a corner room with a balcony – the only one at the hotel with direct access to the roof of an adjacent building. This accounts for the fact that the door of the room where Jose was martyred was locked from inside. According to the physician who examined the body, the murder was committed by two to three individuals – one held him, another tied his hands and feet, while a third one delivered blows. In all probability, the murderers wanted to know the whereabouts of the wonderworking icon. It should be noted that the fate of the icon is still unknown. How Jose was tricked into coming to the hotel room where this brutal murder was committed remains a mystery to this day. In the summer of 1996, Jose visited Mt. Athos to bid farewell to his spiritual father, Schema-Abbot Clement, who then was on his deathbed. Fr. Clement told Jose that the following year, 1997, would be fateful for him and marked by tragic events. The day before his martyrdom, Jose visited the St. Nicholas Monastery on Andros [an island in the Aegean Sea, the northernmost of the Cyclades] together with Fr. Alexander Ivashevich and venerated its relics. The monk who opened the door of the main monastery’s church to them was astonished because an ancient icon of Holy Theotokos on the wall began shedding tears. Archimandrite Dorotheus, the monastery’s abbot, explained that the icon usually starts weeping before or during tragic events. Jose was greatly impressed by this sign of the Mother of God, and he said to Fr. Alexander many times, "Father, I clearly feel that some tragedy will happen soon. I am not sure what exactly it will be, but something will definitely occur." And in the morning of the very day of his death, Jose once again shared his sense of foreboding with Fr. Alexander. The guardian of the "Panagia Portaitissa" myrrh-streaming icon was buried 13 days after his murder in Athens. The plan was to perform a funeral service over the deceased with his body lying in a sealed plastic bag inside a closed coffin. But God saw otherwise. The coffin was opened and the bag torn, and all saw the marks of the tortures. The martyr’s body showed no signs of decay. "It seemed to me… as if I were attending services of Holy Saturday, as if I were standing reverently before the Epitaphion, while with awe and tenderness the souls of the faithful looked upon the Lord's salvific Passion and remembered His burial. All that happened… was at the same time mystically elevated, and brightly sad. Of course, there were tears, for how could our eyes hold back the tears when, in the light of day, we more clearly examined [his] weary face and martyred body, adorned with wounds as if with some kind of divine pearls. We saw [his] hands, on which remained the purple gashes which traced how he was bound by [his] executioners." One servant of God who came from Russia and was present at the funeral service remarked: "I had the feeling that I was attending not a funeral and burial service, but the rite of the Triumph of Orthodoxy. I realized, clearly and distinctly, that even if during those minutes we were to have been led out of the church to be executed by a firing squad, we would nonetheless have been victorious!" "In the early 1990s, I moved to Spain, where I have my roots, and became a parishioner of the only Orthodox parish of the country at that time. It was a Greek parish, and nobody there knew about the Chilean, whose name I didn’t know but who I remembered very often. Later, my family and I immigrated to America. And three months ago, during a conversation with a novice of the Russian Orthodox Convent in Jerusalem I asked whether she knew anything about the Chilean, and she told me that he had been brutally killed ten years ago and that the miraculous icon had vanished. Then she informed me that this man was interred at Jordanville, NY. Words are powerless to express the feelings I had when I heard that news. I felt sorrow caused by his death and the loss of the icon, and at the same time, the joy of his closeness to me and of being able to come and visit his grave, which I actually did several days later. And here the most difficult, important, and the shortest part of my story begins, [because there are things it is difficult to relay with words]. "From the moment I came up to his grave, I felt the presence of a friend. The Lord illumines not only our souls, He also illumines the bodies of people who are fully committed to Him in their lives; thus, small islands of the future life (that Christ promised us) appear in this fleeting, fallen world. And I stood near one of such islands on that day. I prayed to him in Spanish; to be more precise, I conversed with him and asked him to help me just as we ask our friends in heaven – the saints – to help us. All my prayer requests were subsequently fulfilled and even many other things were granted to me. On the following day after the Divine Liturgy, one person I had never met before gave me a piece of cotton wool that had absorbed myrrh from the wonderworking Iveron Icon of Montreal (whose guardian Brother Jose was for 15 years). After my return to New Jersey, I experienced a series of events in my life that can only be explained by divine providence. "Partly out of gratitude, partly out of my desire for a personal meeting with Jose, I went to his grave on the day of the tenth anniversary of his martyrdom. By that time, my wife and I had read a book on his life, The Montreal Myrrh-Streaming Icon & Brother Joseph, which had drawn me even closer to him. Following my return from this second trip, Brother Jose granted me the greatest favors. "I call upon all readers of this awkward story of mine to pray to him, to beg and thank him. If you have a chance, you should also go to him, light a candle and pray at his grave. I know by my own experience that nobody leaves this place ‘empty-handed.’ As far as I understand, Brother Jose and his miraculous icon were given us by [the Lord] as a reminder of the World to come, so that we could grow strong in our faith. We don’t know the whereabouts of the icon, but we do know the whereabouts of its guardian; come to him, and may our Lord Jesus Christ and His Most Pure Mother preserve us." After the martyrdom of Brother Jose in 1997 and the disappearance of the Montreal icon of the Mother of God, many people asked: will the icon ever return to us? 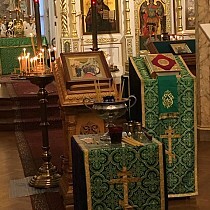 By the mercy of God, on October 6, 2007 (the feast of the Conception of the Glorious Prophet and Forerunner John) – the year of the restoration of the canonical unity within the Russian Orthodox Church – an exact myrrh-streaming replica of the famous Iveron Icon of Montreal appeared in Hawaii. It has been known as the Hawaiian Icon ever since. That was the answer to the question of the faithful: "Will the icon return?" The return of the myrrh-streaming Iveron Icon of the Mother of God proved to be a significant spiritual result of the Act of Canonical Communion [with the Moscow Patriarchate] and a sign of the Lord’s good will towards the Local Russian Orthodox Church.